Everything you do communicates something, whether you intend to or not. 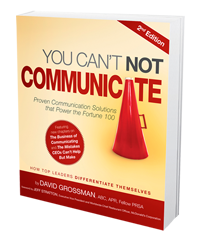 The most effective leaders choose to make the most of their communications, and recognize that virtually all problems in business today lie in the absence of effective communication. 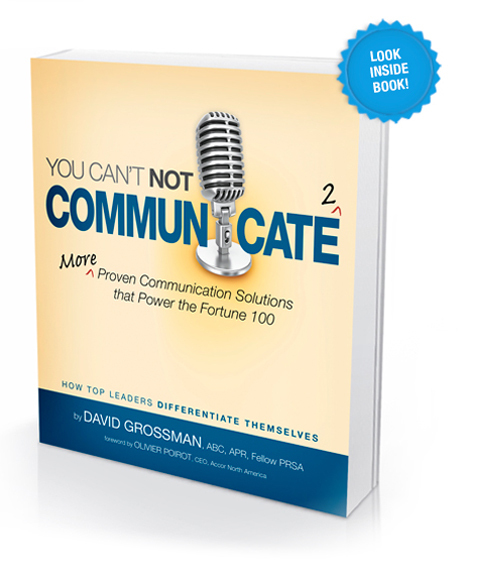 Award-winning leadership communication expert David Grossman is back…with more insights and advice, tips and skills from the frontlines of corporate America. 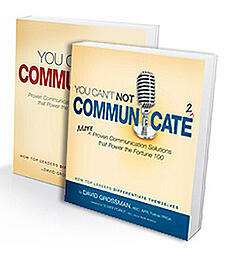 In You Can't NOT Communicate 2, Grossman expands on his proven approach to tackling common challenges. Chapter topics include "The Seven Deadly Sins of Leadership," along with motivating Millennials, mastering messaging, and engaging hard-to-reach employees and holding them accountable. 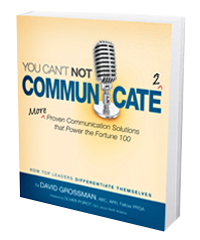 Grossman's techniques and strategies are currently in use at numerous Fortune 100 companies, and will help propel any leader and company to the next level.